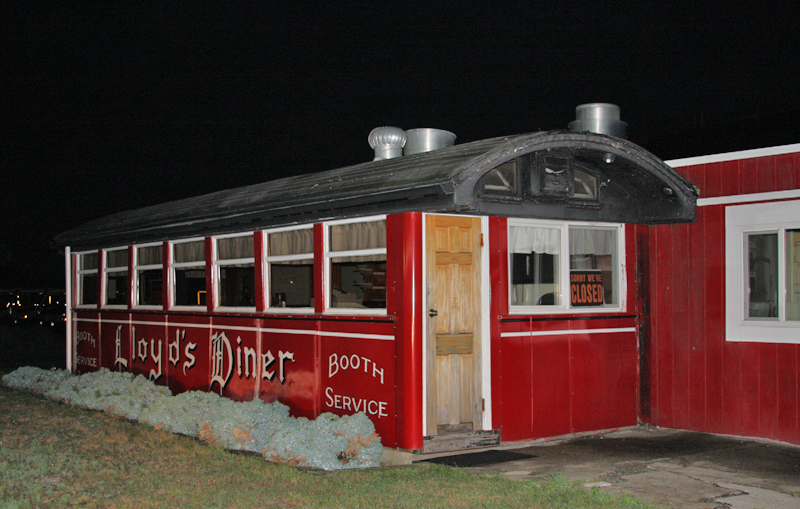 Lloyd’s Diner in Framingham, Massachusetts is Worcester Lunch Car #783. 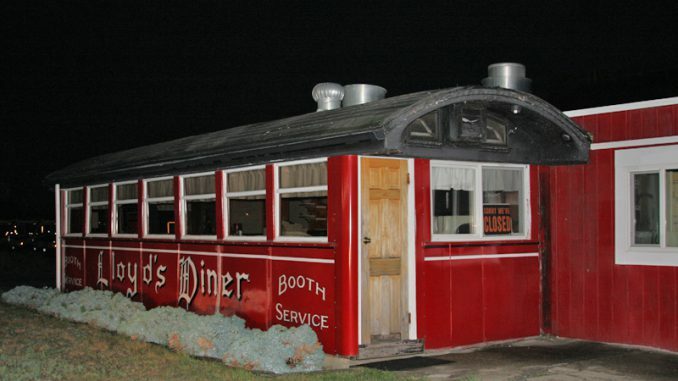 It was originally the Whit’s Diner located in Orange. 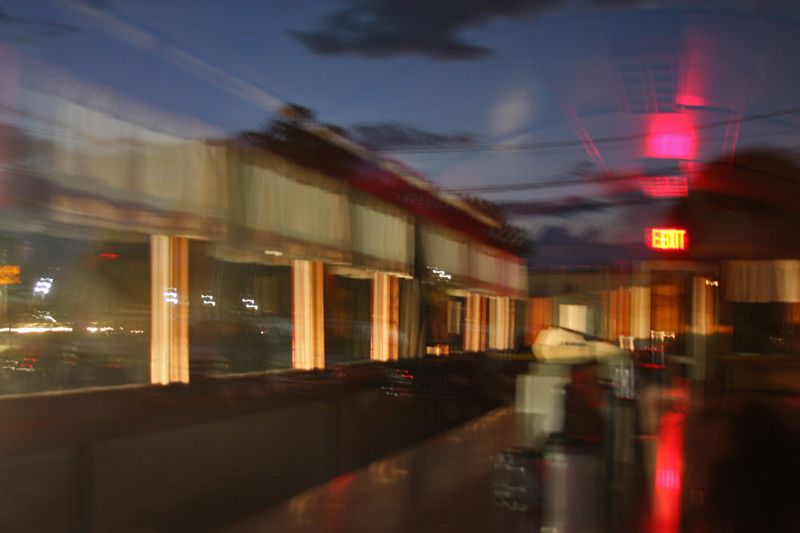 Then it became the Orange Diner, then it moved here. 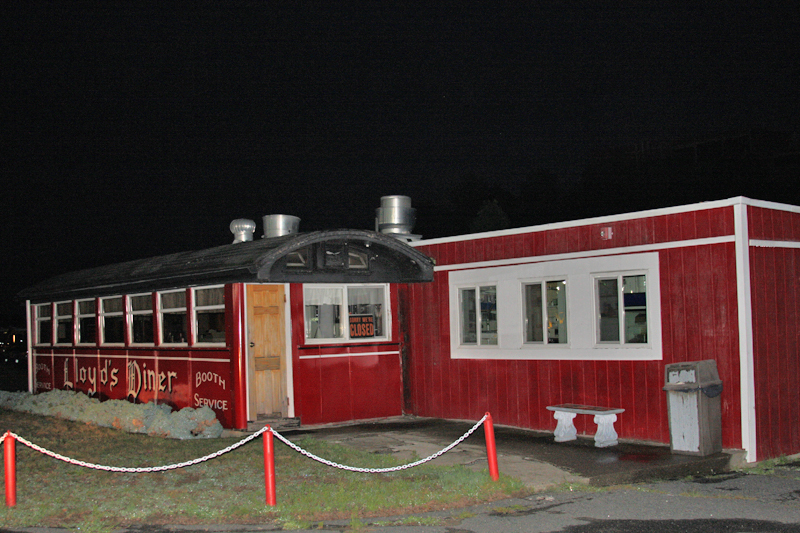 The diner is now red and attached to a regular brick-and-mortar restaurant. 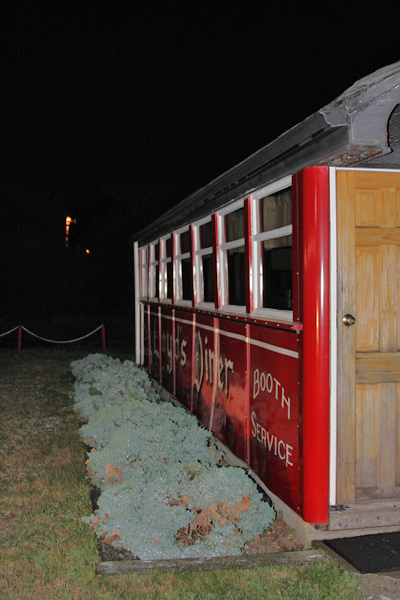 My current pictures are from after dark – I’ll go back sometime soon to get daytime photos. This image of the inside is a bit rough because of the flash. It has stools down the right, along the counter, and simply windows along the left. There are a few small booths in the far back. 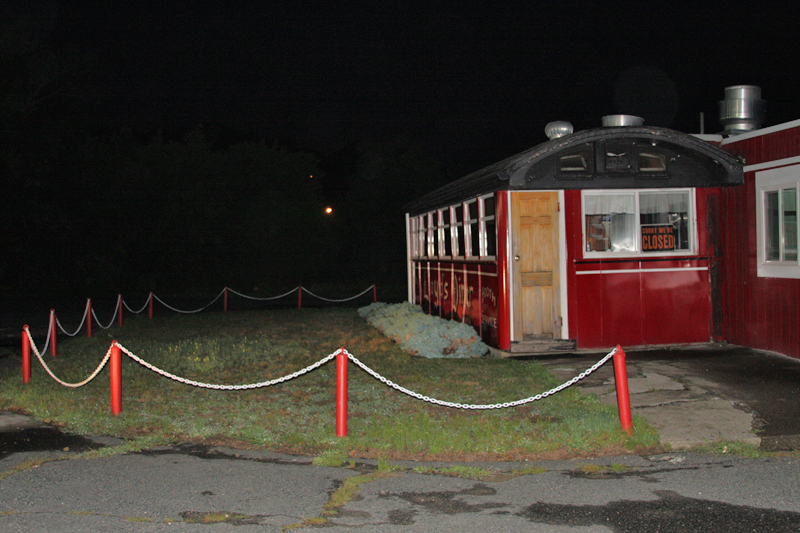 The diner has been here in Framingham since 1990. It is registered with the National Registry of Historical Places as number #03001243. Note that there used to be a Facebook page for this diner but it was abandoned. If you know of a current official page for the diner please let me know!